Armored Vehicles From massive tanks to the US president's limousine, armored vehicles are a common sight around the world--especially where there's the potential for danger. Armed with machine guns and cannons or equipped to carry dozens of soldiers, the different kinds of armored vehicles have important jobs to do. 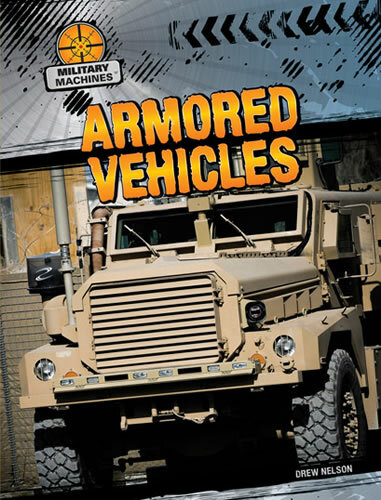 This book takes readers from Leonardo da Vinci's fascinating vision of an armored military machine to today's best armored vehicle models with accessible content and up-close photographs. The main text includes historical information that complements the social studies curriculum, and sidebars add fun facts and more incredible detail.